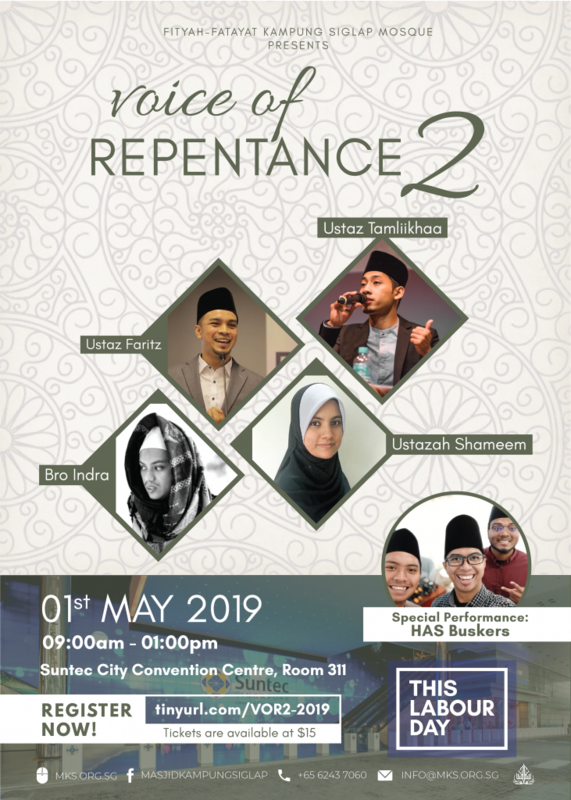 Voice Of Repentance 2 is a follow-up event to the previous Voice of Repentance where will be covering more on the meaning of Tawbah, consistency after tawbah and many more 🤭! Join us in this enlightening session, graced by the esteemed line of speakers: Ustaz Faritz, Ustaz Tamliikhaa and Ustazah Shameem! In addition to this, we will also have Brother Indra who will be sharing more on his personal experience followed by a performance by the one and only Has Buskers!